Tarun Gupta June 10th, 2013 Application Development 2 comments. Developing applications for mobile phones is quite a crucial process with a number of serious complexities and concerns on board. During the Mobile Application Development process, developers have an important engagement to decide the blueprint in order to address the issues. There are also a number of development environments and native development tools that developers choose. Most of us are aware about some of them as Apple® iOS, Android, Microsoft Windows and BlackBerry. Before discussing the issues that should be addressed during the development, lets talk some basic facets of mobile application development. Mobile applications are nowadays available in numerous categories and segments such as games, social networking, productivity tools, infotainment and data management etc. Quite technical but interesting. Being a web developer you must know that there are three innovative approaches of mobile apps development is available in the spectrum. Native mobile apps are specific to the given mobile platform. These apps are developed using the languages that the particular platform supports. For an instance, iOS is compatible with the language 'X-code' and 'Objective-C'' and similarly for Android Apps Development, 'Eclipse' and 'Java' is used. Experts do believe that native apps are best in the looks and perform best as well. As the name implies, Hybrid mobile apps are the serious combo of Native and HTML 5. There are obvious pros and cons of these kind of Hybrid Apps in real time. Below listed are some of the very evident advantages of native mobile applications. This mode of development enjoys the full advantage of mobile device capabilities. Developers can integrate devices such as GPS systems and other network communication tools easily. It enables mobile application developers to access local device storage to complement its offline storage capabilities. It further offers more flexibility in customizing and synchronizing the database. When you go for Mobile website Design, Synchronization becomes very important and functional aspect. Below listed are some of the the precisely quoted business advantages of mobile web applications. Beyond all the elevating benefits, a number of business challenges are still haunting the developers. These concerns are although addressed at various levels of web development, they are still looking for a breakthrough and precise use of Mobile based web standards so that the time spent on the coding and issue resolution can be brought down. Below are some of the growing business challenges, being faced by the developers while developing mobile apps. The concerns related to the data access come first. There are numerous questions need to be answered at the beginning. These questions include the data storage, browsing route whether local browser or native application. To address the data access problems, developers develop an internal route access within the application file system. Only an innovative web development methodology may deal with the data access problem throughout the process. You May Also Like : Specialized Mobile Application Development: Which One Suits You ? Each operating system used in a mobile is built on a different architecture. Every mobile platform tenders different levels of security and support to the data stored in the device. When you hire a dedicated web developer, make sure he understands the urgency of security and access control. He must take every care to implement encryption into the application to file system level. Developers should also think seriously about the preservation and protection of data. Encryption enables to prevent data breach and theft. Developers also think of creating data archives to ensure reliable backup capabilities. User experience is important in case cross-platform mobile application development takes place, whether it is iPhone Application Development or Blackberry Application Development, portrait and landscape sizes matter a lot. Developers must understand that an individual user has a specific need and requirement with a particular application. This is therefore the responsibility of the developers to determine how to make information easily accessible and possible to find. Whatever the complexities come during the apps development, developers must apply the best mobile application design techniques and available best practices in deployment to ensure the delivery of only the highly collaborative apps for the end users. 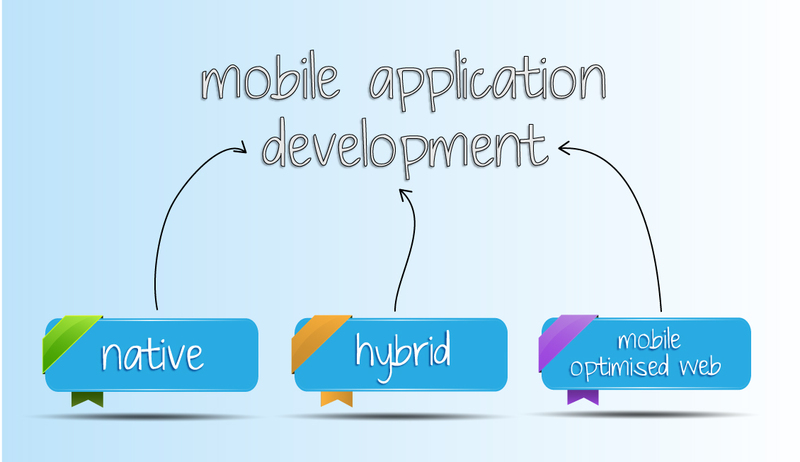 Specialized Mobile Application Development: Which One Suits You ? What are the languages used in Android & Apple phone? What are the main differences? Could you develop an application similar or better than Uber? How long do you need to come out a prototype? Lastly estimated cost? Who owned the IP of the app.? Your query has been forwarded to our sales team. One of them will be get in touch with you asap. You can also drop your detailed query on sales@brainpulse.com or can call our 24×7 helpline given on the top of the website. Wishing you a good day ahead.